Mumbai: Starting Friday(1st Feb. 2019), you will be able to book through your mobile a six-seater speedboat to reach Mandwa Jetty or Elephanta Island at a one-way fixed fare of Rs 5,700. It will be a 20-minute ride and one has to book at least 15 minutes in advance. 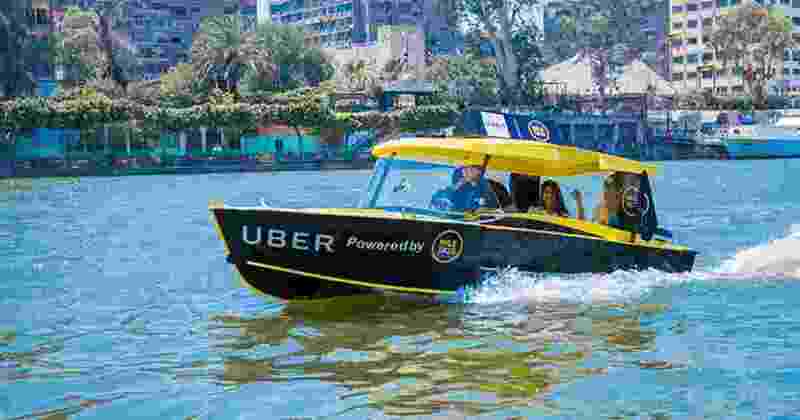 Cab aggregator, Uber, on Wednesday launched the speedboat service, UberBOAT, from Gateway of India. Times of India Newspaper had reported in its Wednesday edition about the aggregator’s plans. This is Uber’s first boat service in the country and second in the world. First Uber BOAT was introduced in Croatia in 2017. UberBoat will also offer a 10-seater XL version at a fixed fare of Rs 9,500. At present, one has to book the entire speedboat on the app and single-seat bookings are not available. A normal ferry from Gateway to Mandwa Jetty costs a maximum Rs 200 per passenger and the travel time is nearly an hour. An Uber official said it was a pilot project and in future, depending on public demand, it will start new routes and may also introduce individual seat bookings on boats with dynamic pricing. Nearly 10 million riders use waterways from Gateway of India annually and we plan to give them a reliable and affordable way to travel, said Prabhjeet Singh, head of cities, Uber India. Mumbai Port Trust chairman Sanjay Bhatia, who launched the service, announced that soon, boat, hovercraft and water taxi services will be introduced from domestic cruise terminal Ferry Wharf to Nerul, Vashi, Belapur and also up to Thane. “Water transport between Mumbai and Navi Mumbai and other areas will ease road congestion and provide a faster option,” he said. With such a service, Navi Mumbai airport will be just 30 minutes from Ferry Wharf. Maharashtra Maritime Board CEO Vikram Kumar said that on an average, 5,000 app cabs ferried passengers between Mumbai and Navi Mumbai every week. “Waterways between Navi Mumbai and south Mumbai will be a game-changer,” he said, adding that the state wants to encourage waterways. Kumar said that Ro-Ro services between Mumbai and Mandwa will be introduced soon while seven other water services are being planned on the western waterfront—some of them being Borivli to Gorai, Marve-Manori to Bhayander and Ghodbunder Road. There could also be a direct waterway from Gateway to Alibaug, a source said. For UberBOAT, nearly 15 speedboats have now partnered with the aggregator and will provide services on the app from 8am to 5pm. “Only licenced boats that are certified by MMB are available on the app. They come with life jackets,” said Singh. Coast guard helpline in case of extreme emergency will also be available. Bhatia said Uber needs to ensure safety of passengers.